What's New: Includes important security enhancements - reccomended for all new and existing users ! This download (pdfvSDK.zip) was tested thoroughly and was found 100% clean. Click "Report Spyware" link on the top if you found this software contains any form of malware, including but not limited to: spyware, viruses, trojans and backdoors. 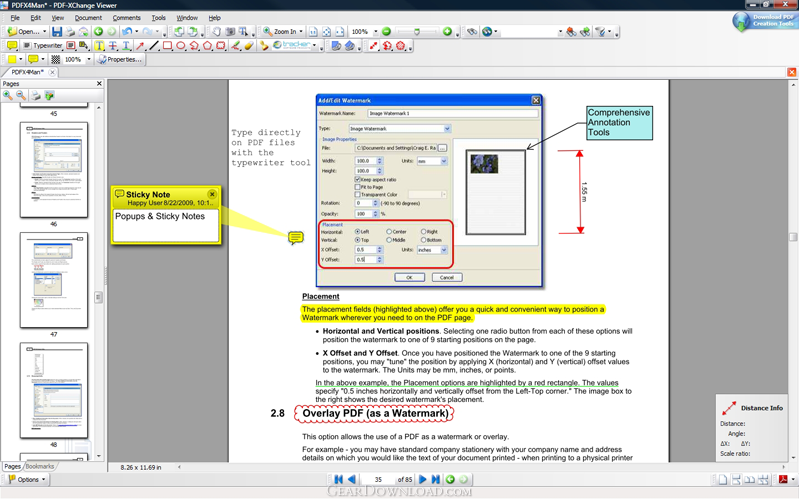 PDF-XChange PRO SDK 7.0.326.0 - Everything needed to View,Create and Manipulate Adobe PDF files efficiently.